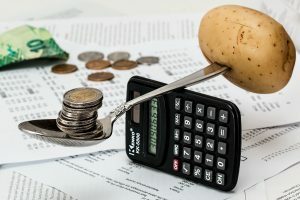 Is it true that inflation can be good for country’s economy? Inflation stands for a decrease in the money’s value (Coleman, 2009). Put another way, it represents an increase in the overall price levels (Coleman, 2009). When the money in circulation in a country, money supply, increases with a more rapid pace than the production in the same country, the result is a rise in the general price levels as the demand for products or services becomes more than the supply (Schwartz, 2009). This is the first cause of inflation. Another reason for inflation can be the higher costs that are reflected to the ultimate consumer. The increases costs may be as a result of raw material or manufacturing costs while they can also result from higher tax rates. When these prices increase, the money’s value decreases. Therefore, this means that less products or services can be acquired with the same amount of money (Coleman, 2009). The goal of governments in terms of inflation rate is approximately 2 or 3 per year (Schwartz, 2009). This level is considered useful for the overall economy. When the inflation rate is low, people are heartened to make product or service purchases. If they suspend their spending, they will have to use more money for the same product (Bresciani-Turroni, 2013). Besides, low inflation rate creates an environment where borrowing money is encouraged due to the fact that the rates of interests tend to be low through low-inflation periods. In this sense, sustaining low inflation rates is a significant objective for political authorities and central banks of countries owing to its economic advantages. Although the current currencies can be devalued as a result of inflation, this can be compensated by the existence of abundant money supply which can be used for expenditures, investments, constructions or recruitments (Schwartz, 2009). However, high inflation level is considered less useful. High inflation levels decrease the level of confidence that the country population has for their currency and economy. Besides, foreign investors might be concerned about it during their decision to choose the country for investment (Bresciani-Turroni, 2013). In this sense, high inflation is considered to have a negative impact on economic development in a country. In case the rate of inflation becomes excessively high, the central bank of the country is expected to interfere through increasing the rates of interest and suppressing additional money supply to the market (Bresciani-Turroni, 2013). Therefore, it can be said that whether the inflation is good or bad depends on the level of inflation is occurring within an economy. We hope our inflation essay will serve as inspiration for you. We remind you that you are not allowed to use this text in any way since it will be considered as author’s rights violation. If you need qualitative inflation essay, but you don’t have time or motivation to write it, you can always place an order and receive a great academic paper created by our professional writers. While you are hesitating, the due date is approaching! Fill in the form, and your academic problems will be solved forever. We believe that learning should be a pleasure, not a struggle, and we try to implement that by helping students all around the world.